In this morning's Honolulu Star Bulletin there is an article about an HPU student who created a website based on the vile comments made by Kathy Griffin. I cannot even post a blurb of the article here. If you want you can go there and read it for yourselves. It is appalling that he appears to have a lot of support on the mainland. I wonder if the Catholic League is aware of it. Well, they will in a minute. Oh! how great is the priest. 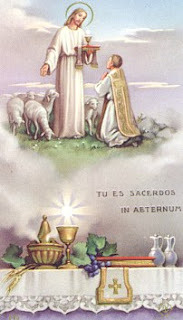 The priest will only be understood in heaven. Were he understood on earth, people would die, not of fear, but of love. On this the 6th day of October, 2001, Andrew Kevin Grace was ordained to the sacred priesthood of Our Lord Jesus Christ by the Most Rev. 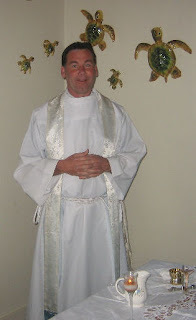 Bishop Christopher Toohey, at St. Michael's Cathedral in Wagga Wagga. Happy Anniversary Fr. Grace. May God always keep you close to Him. Attention: For some reason, I am saving the graphic in .gif format so that it will have a transparent background. However, when posted through Blogger, it converts to .png or .jpg and it then has a white background. Does anyone know why this is happening? I have been noticing that many of you choose to use the sig tags at the end of your posts. I played around yesterday and today to see if I could create a sig tag that would work for my blog. You probably saw it if you visited today. Anyway, I thought I would offer to make you one if you'd like. I can't promise what it will look like since I usually make things depending on my creativity mood at the moment. I do hope to make each one unique though. I would offer these to the men friend too but I don't think you use them. So, if you would like one, you can either leave a comment or email me. Just let me know what name you want and whether you'd prefer script (cursive) style or print style. And, then leave the rest to me. Sorry, I can't help you with how to use them. I am still inserting mine manually. Have you heard the good news about the Seraphim singing group? The Seraphim are three Catholic sisters who sing together Catholic hymns, Christmas carols, and fun barbershop songs. They have a new CD out with some of the best loved Marian hymns! The sisters' letter to you is found below! Enjoy! Hello,We hope this e-mail finds you and your family doing well.We are excited to announce our NEW CD and are pleased to offer"Hail,Queen of Heaven" to you with an introductory price of only$14.00.........and FREE shipping.A selection of some of the most beautiful hymns ever written, honoringMary, the Mother of God, as sung by Seraphim - The angelic voices ofChrista, Lisa and Theresa Hanson1. Ave Maria (Gregorian)2. Within the conjugal and family communion-community, the man is called upon to live his gift and role as husband and father. With his wife a man should live a very special form of personal friendship. As for the Christian, he is called upon to develop a new attitude of love, manifesting towards his wife a charity that is both gentle and strong like that which Christ has for the Church. Happy Feast Day to all the Friars that have been friends of our family over the years! And lest we forget our animals, Easter shared the following with our Catholic homeschooling group. Blessed are you, Lord God, maker of all living creatures. enable it to live according to your plan. Amen. Jackie has a very good advice on this topic. Ah, The Little Things That Make Me Happy - LISTS! And, a site about Lists and nothing but Lists! I am going to reveal a secret. I have a new favorite website. It is called the List Universe. Top 10 Hitchcock Movies and I think I saw them all and loved them! Top 10 Horror Movies and with the exception of Texas Chainsaw Massacre, I saw them all. Loved them! Anyway, there's a lot more and I could spend a lot of time if I let myself. But go on and see for yourselves. Caution: Not all lists are for family viewing. Please view with care. A big mahalo goes out to Amy for the reminder! For Peace in our Families and World! we watched Angels in the Outfield. It's the remake of an old classic film with the same name. This one is one of our family's favorite Disney movies. Little trivia for you: Did you know that Tony Danza is related to Saint Padre Pio? Yes he is! I remember his appearance on Live With Regis and Regis asked him if he were in fact related to a saint. He looked kind of humble when he said that yes, maternal (or was it his paternal) grandmother's uncle was Padre Pio. Can you imagine that???? by the Spirit of Vatican 2? Honolulu, HI (LifeNews.com) -- A Hawaii state legislator plans to propose a bill he says will help protect pregnant women who are victims of violence there. However, pro-life advocates say the bill won't protect women properly because it fails to acknowledge the death of or injury to their unborn child and punish criminals for the attack on the baby. So Many Books! So Little Time! "The Admirable Heart of Mary by St. John Eudes is the first complete work ever to be published on the devotion to the Immaculate Heart of Mary..." It was published in 1948 and has a foreword by The Most Reverend Richard J. Cushing. Peter had a first edition of the Sheen book but I bought the less expensive hardcover book. Both books arrived in excellent condition; well wrapped and packaged. I chose the pricier priority mail option because from experience media mail shipping to Hawaii can take from 4 to 6 weeks. I did not want to wait that long. What a surprise when I opened the box yesterday! 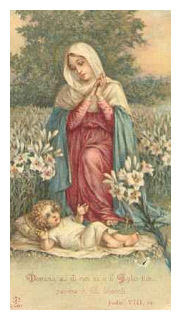 Peter had included the most beautiful Holy Card of our blessed Mother!! What a nice man! No wonder to me that he has Hawaii ties. Mahalo again Peter. I can't wait to read the AB Fulton Sheen book. Saints Behaving Badly which I finally got around to reading. The Thrill of the Chaste which in all honesty I put aside to read the Saints book. and a couple of other books. As you know, Father Peter Dumag is the new full-time Director of Vocations of the Diocese of Honolulu... Father Peter has prepared a Diocesan Prayer for Vocations...I ask you to distribute and use this prayer as widely as possible. May the Master of the harvest hear our prayers and bless us wtih an abundance of laborers for his harvest here in Hawaii! 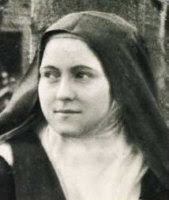 God, our Father and Creator through the intercession of St. Thérèse, we ask for insight and wisdom to see the signs of Your Love in the people and in the events of our lives. May we discern what we have to do as students and give us the strength to do it. Grant us success in our work and examinations. Help us to believe in Your Great Love for each one of us, so that we may live in truth and radiate Your Love in our lives. Through Christ our Lord. Amen. 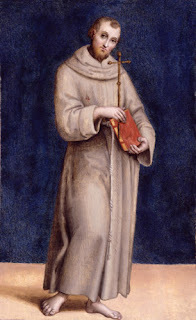 ‘O Holy Father, may the torrents of love flowing from the sacred wounds of Thy Divine Son bring forth priests like unto the beloved disciple John who stood at the foot of the Cross; priests: who as a pledge of Thine own most tender love will lovingly give Thy Divine Son to the souls of men. In honor of today's feast day, we will be watching that lovely little movie Therese. I think as far as I can remember, I wanted to be like my mother...a wife and the mother of a large family. I took it for granted that I would one day have a large family. My father comes from a family of about a dozen children and so does my mom. I tried to do everything right and be the good Catholic girl that would make my parents proud and never do anything that would shame me before my God and my parents. With God's and my parent's help and guidance, I think I accomplished that. I was so sure God would reward me with the man of my dreams and a very large family to call my own. 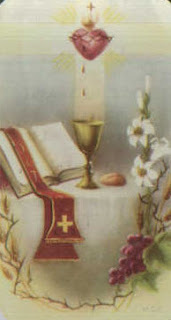 My husband's father often advised him to marry a good Catholic girl. It was providential that we met, fell in love and got married. My husband also came from a large family. His father's family was also a very large and loving family. My husband and I were so sure that when we got married, we would be raising a large family too. After all, it was almost inevitable. But it looks like we forgot to ask God for what His will was concerning our family. After a few years of not being able to conceive, we started praying (something we should have done as a couple even before we were married) for a child to call our own. God opened our hearts to adoption and with His guiding hand, we met our beloved son...the cutest little rascal in the world! We could not have chosen a better child as our own. It was all God's work in play. We both realize that. I finally got pregnant a few years into our marriage. But it was not meant to be and miscarried soon after. But I was now hopeful that becoming pregnant would just be a matter of time. Again, we forgot to consult God about His plans. It has now been almost 8 or 9 years since that day and we have one child on earth and one in Heaven. It was not for lack of trying that our family is small. In our minds and heart, we know that is what God wanted for our family. With that I leave you a post by Exspectantes. 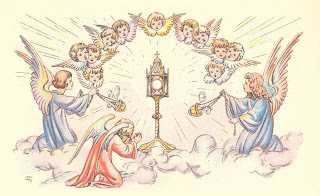 I actually have thought about cutting back on the more personal posts but I wanted to share with you this in case you have a small Catholic family too.